While doctors suffer from the same range of disorders as the general population, there is a tendency for doctors to seek help later. This may be due to procrastination or denial that there actually is a health issue that may require professional intervention. Doctors may minimise or rationalise symptoms, or be hesitant to reveal what they may regard as an ‘inadequacy’, when it is actually more likely to be reflective of either an illness or a natural reaction to role strain and prolonged stress. The Victorian Doctors Health Program (VDHP) was established jointly by the Medical Practitioners Board of Victoria (MPBV) and AMA Victoria in 2000. Since its inception there has been an extremely high demand for the VDHP’s services across a wide range of clinical problems, including stress and burnout, mental health issues and/or substance use problems. The primary objective of VDHP is to offer the best possible service for sick and impaired doctors and medical students and to assist them in achieving optimal health. Each year we receive anywhere up to 650 contacts by either phone, email or through our website – vdhp.org.au – and the degree of VDHP involvement will vary. Some callers solely seek information such as the recommendation of a good GP in their area, or they call to discuss the health issue of a colleague, employee, family member or friend (this can be done anonymously). Doctors and medical students needing to be seen are offered a prompt appointment with one of the VDHP doctors. Strictest confidentiality is maintained – the only exception being if a practitioner continues to work while impaired and subsequently puts patients at risk. Health concerns are assessed and treatment options discussed and arranged. The VDHP is also able to offer intensive, regular, on-going support if needed through the Case Management Program. The VDHP is supported by a dedicated team of treating professionals who are keen to assist doctors in their on-going health management including GPs, psychologists, psychiatrists and addiction medicine doctors – all of whom are used to seeing doctors as patients. 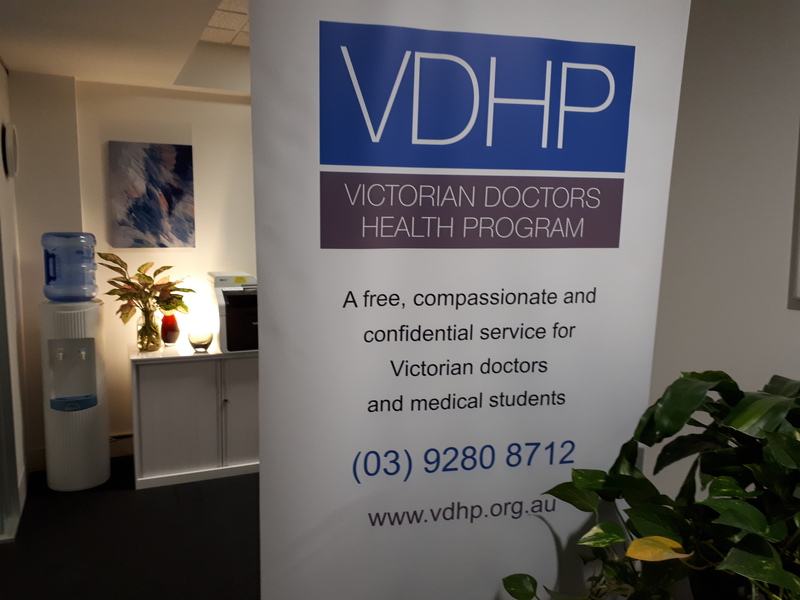 The VDHP is a confidential and free service for doctors and medical students in Victoria. It is independent of AMA Victoria and the Australian Health Practitioner Regulation Agency. AMA membership is not required to access the service. provides advice to anyone who is concerned about a doctor or medical student. I have been privileged to have worked at the VDHP for 15 years and have seen it help hundreds of medical practitioners whose work as doctors has ultimately been enhanced – not diminished – by their personal struggles. Contact VDHP on (03) 9280 8712 or email vdhp@vdhp.org.au for confidential assistance.